What to do around the hotel? After the bike, discover the sporting activities surrounding the hotel. Charming hotel located in Latresne. Hotel very close to Carignan. Latresne is glued to Carignan. The restful surroundings of the place allows you to enjoy a night of rest before returning to your occupations nearby. Latresne is 5 minutes from the main roads of Bordeaux. You are 30 minutes from the airport of Mérignac, 10 minutes from the city center and the station of Bordeaux. The Bordeaux conurbation is rich in activity. The proximity of major roads allows optimized journey times. You will be able to go around Carignan, of all the right bank and left bank Bordelaise. Carignan is both a town and a grape variety. 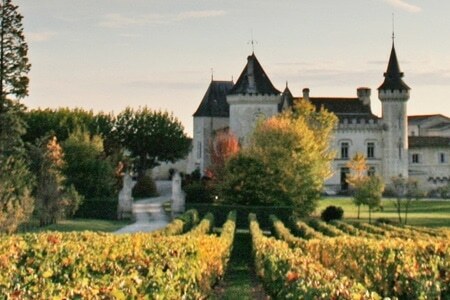 If you want to discover the Bordeaux wineries do not settle for Saint Emilion. Hôtel d’Arcins is a hotel close to Carignan. Latresne is less than 5 minutes from Carignan. You will be close to Carignan.